Satisfy your customers with a delicious lineup of drink offerings when you use these high-performance Curtis beverage dispensers available at CKitchen, a fully authorized dealer of this popular brand. Curtis has been a leader in commercial coffee brewers, cappuccino makers, iced drink machines and more since the 1940s. Their high-quality products continue to be used in commercial kitchens around the world, adding valuable services and products to customers of restaurants, fast food establishments, cafeterias, convenience stores and more. When you choose a Curtis drink dispenser, you get a dependable and durable machine that produces consistently delicious beverages day after day. Find the right drink machines for your business when you shop for Curtis beverage makers at CKitchen. A refreshing beverage can be just the thing you need to draw more customers to your business. Curtis has found the most efficient and convenient way for restaurants and other food service establishments to serve up drinks to their customers, even on the busiest days. Their coffee machines brew quickly and consistently to keep diners, cafeterias and other businesses running smoothly throughout the day. Specialty drink machines like Curtis cappuccino makers, tea brewers and syrup warmers allow customers at convenience stores and other self-serve setups to create the customized drinks they desire. Even businesses without kitchens can use Curtis drink servers and dispensers to allow their employees or customers to get a delicious cup of coffee or tea at any time of the day. Beverage dispensers often get some of the most frequent use out of any kitchen equipment, so it’s important to make sure you choose a reliable, durable model. These Curtis drink machines will exceed your expectations when it comes to their performance and beverage quality. Choose from this lineup of Curtis beverage dispensers at CKitchen to get the lowest prices and free shipping with your order. One of the most important things you need to do as an aspiring coffee shop owner is to invest in the right equipment you need to brew the perfect cup of coffee and the perfect shot of espresso several times every day. 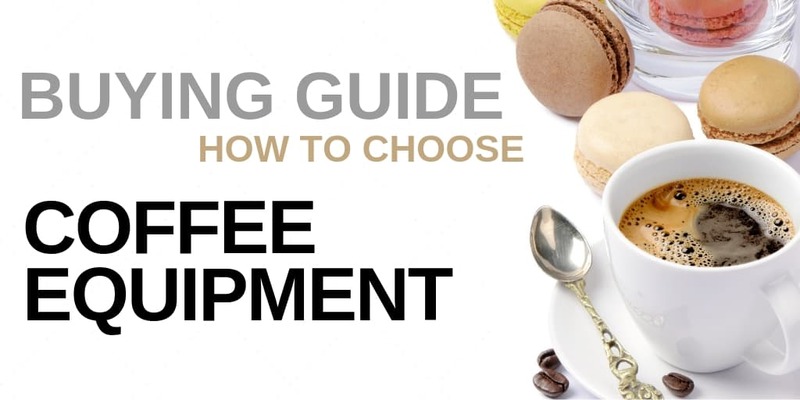 Below is a comprehensive list of the most basic equipment you need for your coffee shop!